From Monday 3 to Friday 7 December we’re offering huge discounts on our play scripts to National Lottery ticket holders, as part of #ThanksToYou week. We’re one of hundreds of National Lottery funded organisations across the UK saying thank you to people who have raised money for good causes by buying a lottery ticket. To take advantage simply pop-in to our library and rehearsal space in Hull during opening hours (10am-5pm) and present a National Lottery ticket or scratchcard. 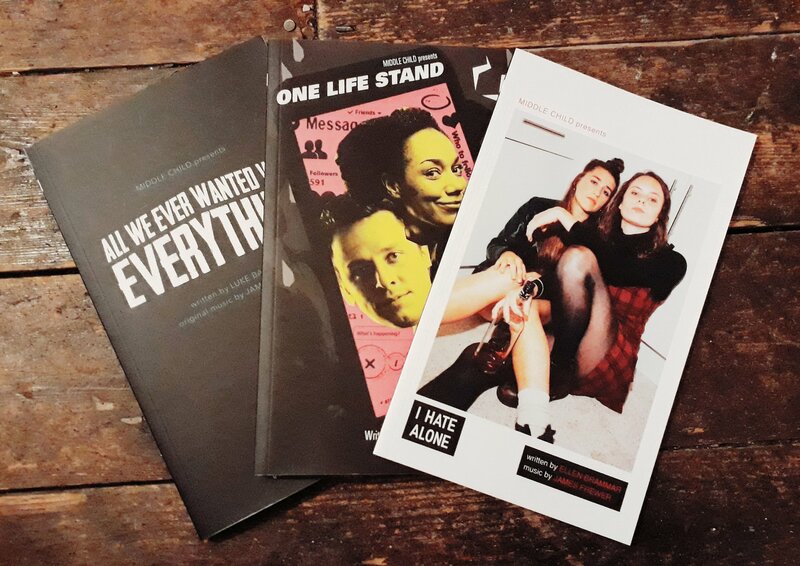 You’ll then be able to buy a copy of All We Ever Wanted Was Everything, by Luke Barnes; One Life Stand, by Eve Nicol; or I Hate Alone by Ellen Brammar, for £2 each, the same price as a National Lottery ticket. Our status as a national portfolio organisation with Arts Council England is supported by National Lottery funding, which pays for our productions and artist development work. All National Lottery games qualify for free entry, including both National Lottery draw-based games and National Lottery Scratchcards. Proof of purchase of a National Lottery game can be either a hard copy ticket or a digital ticket. The offer is valid from Monday 3 December to Friday 7 December.